The most extensive documentary series ever produced focusing on this bloody period of British history. Featuring historically-accurate battle recreations and expert commentary by historians, authors and war experts, this fascinating two-part program brings to vivid life the fascinating true stories behind these confrontational times. Revealing the little-known back-story of the events explored in the popular Showtime series "The Tudors", Wars of the Roses: A Bloody Crown is the most extensive documentary series ever produced focusing on this bloody period of British history. Featuring historically-accurate battle recreations and expert commentary by historians, authors and war experts, this fascinating two-part program brings to vivid life the fascinating true stories behind these confrontational times. It will be available on DVD July 12 for all military historians, anglophiles and Tudor-watchers, only from Entertainment One. 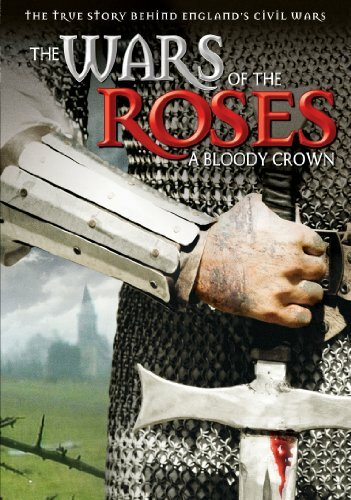 The story of the Wars of the Roses has everything to make the heart of a Hollywood scriptwriter beat a little faster. The main characters are hell bent on winning power and influence; they're ruthless and show no mercy as they pursue their aims. There's a generous helping of madness, treachery and deceit. There's even a touching love story in the background. And, don't forget about the thunderous pitched battles that eventually decided the destiny of the crown of England. With full-scale reconstructions and re-creations and new footage from the battlefields, towns and cities involved, along with animated maps and weapons demonstrations, Wars of the Roses is brought to rich life like never before.